Rep. Virginia Foxx, who receives hefty campaign contributions from the for-profit higher education industry, is fighting the Obama administration's plan to put new rules on that industry. So naturally she said this: "It is not the role of the Congress to make college affordable and accessible." Apparently, it's also not the role of the Congress to make for-profit colleges accountable to the taxpayers. For profit colleges collect $32 billion in subsidies from the federal government. Yes. On average, these institutions derive 70 percent of their profit from the Federal government that Ms. Foxx hates so much. Those big donors to Ms. Foxx's campaign fund also have very spotty records on delivering actual education. 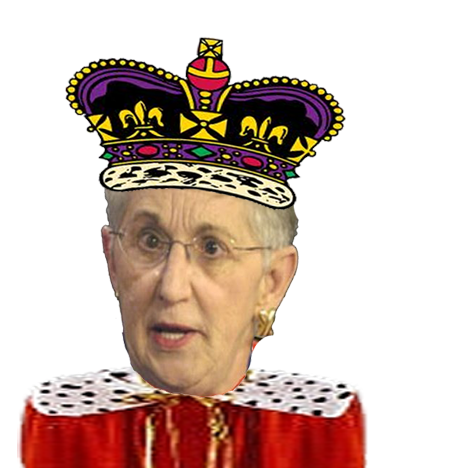 Virginia Foxx ... coddling the rich and making life miserable for everyone else since 1994. Sec. 8. Higher education. The General Assembly shall maintain a public system of higher education, comprising The University of North Carolina and such other institutions of higher education as the General Assembly may deem wise. The General Assembly shall provide for the selection of trustees of The University of North Carolina and of the other institutions of higher education, in whom shall be vested all the privileges, rights, franchises, and endowments heretofore granted to or conferred upon the trustees of these institutions. The General Assembly may enact laws necessary and expedient for the maintenance and management of The University of North Carolina and the other public institutions of higher education . Sec. 9. Benefits of public institutions of higher education. The General Assembly shall provide that the benefits of The University of North Carolina and other public institutions of higher education, as far as practicable, be extended to the people of the State free of expense. What doea it say in the U.S. Constitution concerning this matter? If you quote the N.C. Constitution, is it a matter of state's rights? How do Foxx or Obama fit into a states rights issue? What does it say in the U.S. constitution about funding a teapot museum in your home district? Please look at the photo op image with this article, and someone please tell me that is not who I think it is in the front row. (sorry about the pasted url)...Surely it couldn't be her? Right?